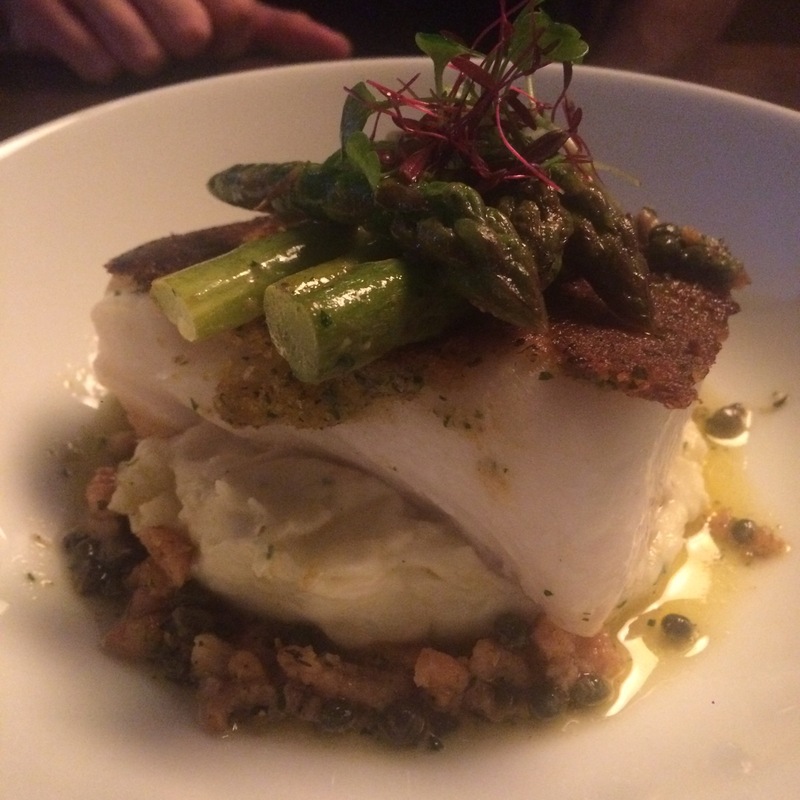 As part of our glorious weekend escape from reality, we treated ourselves to a delicious meal in Inveraray’s highly popular and frequently recommended seafood restaurant – Samphire. Not to be too cute and order all the same things as each other, we ventured to different parts of the menu this time! 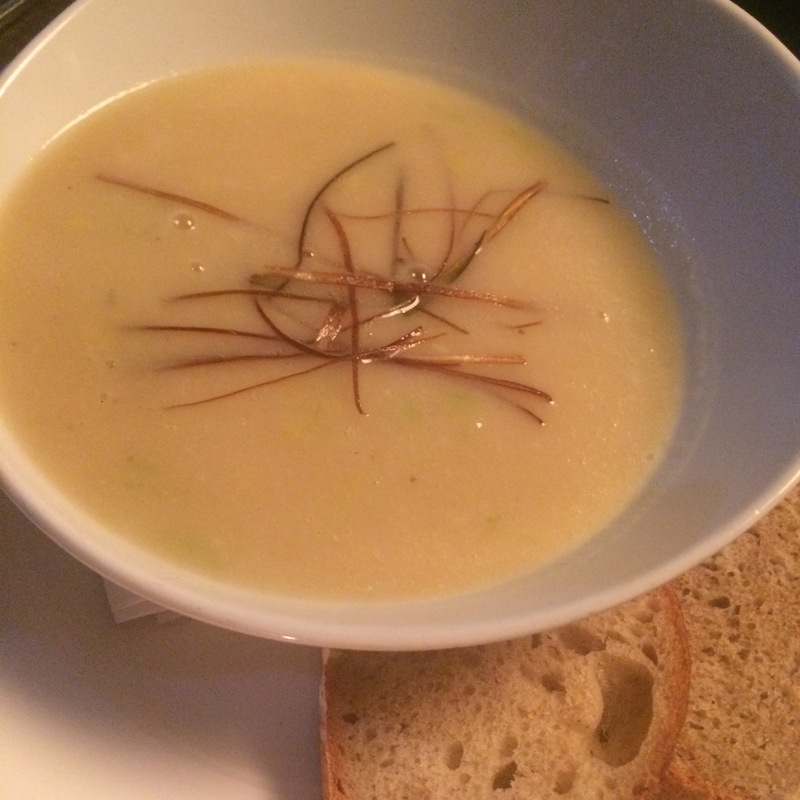 Both of the starters were simple, traditional dishes and I don’t have anything so say about them that I haven’t said before – they were beautiful in their sinplicity! 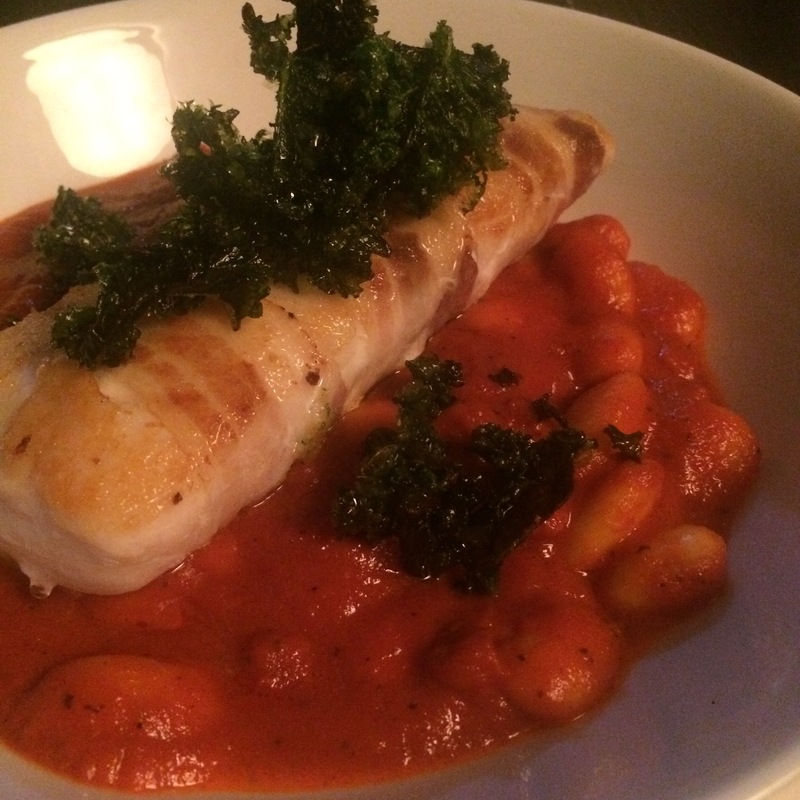 This was a seriously delicious dish – especially the warm potato salad that was the foundation for the Cod. 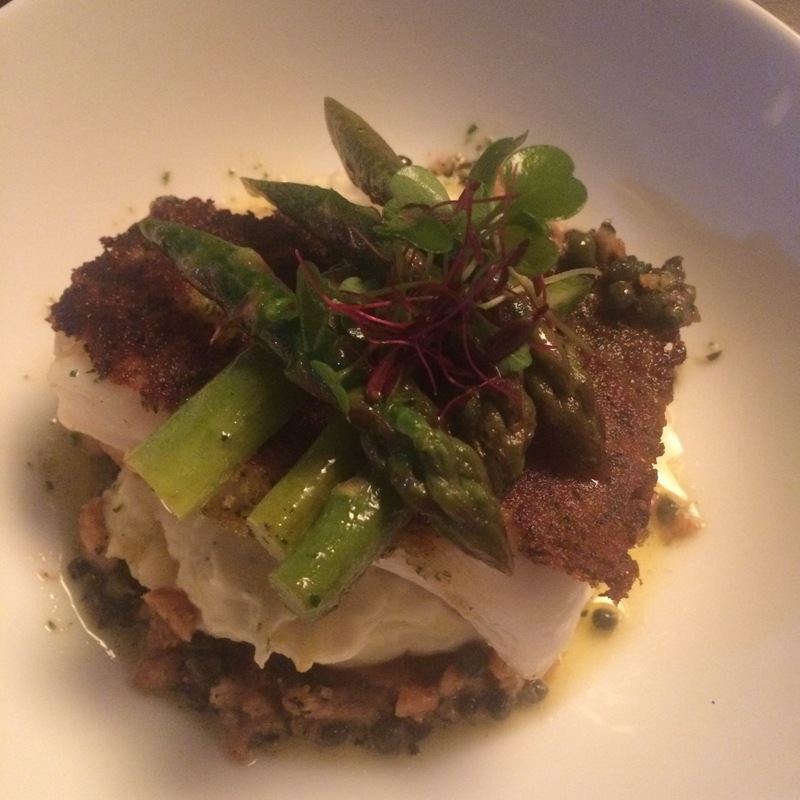 The fish had a crispy fried bread & herb crust which added a wonderful texture. The dish was coated with a delicious caper and brown shrimp butter and topped with al dente asparagus. Food envy is the worst. Luckily, I ordered this and envied no man in the world. It was so rich and delicious. 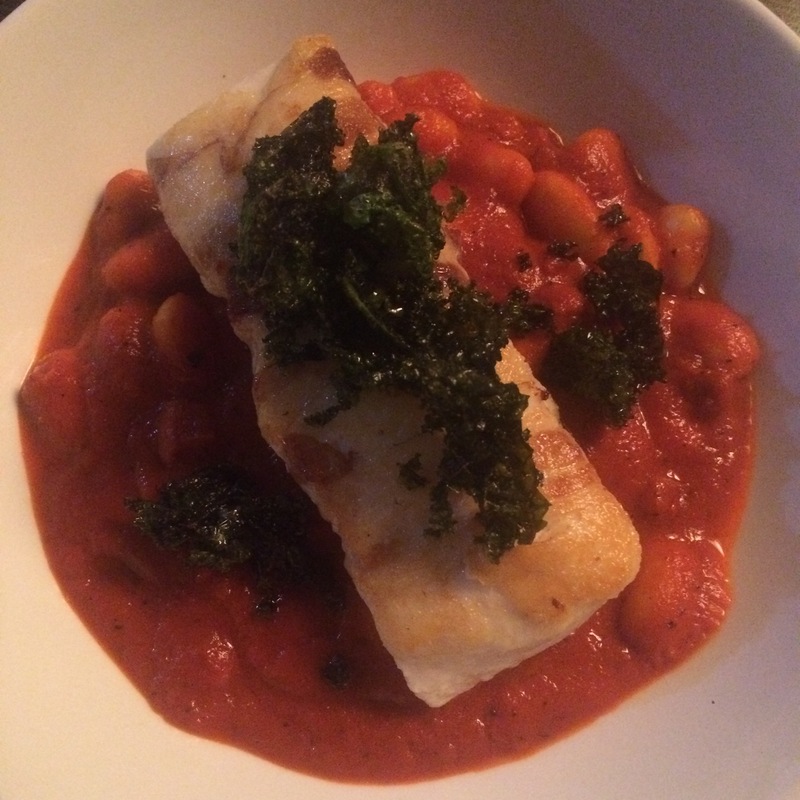 The perfectly cooked Hake was served with smoked pancetta, roasted red pepper, chorizo and butter bean ragout and topped with kale crisps. It was just heavenly. We were in the position where our sweet tooth was calling, but we were feeling pretty full. 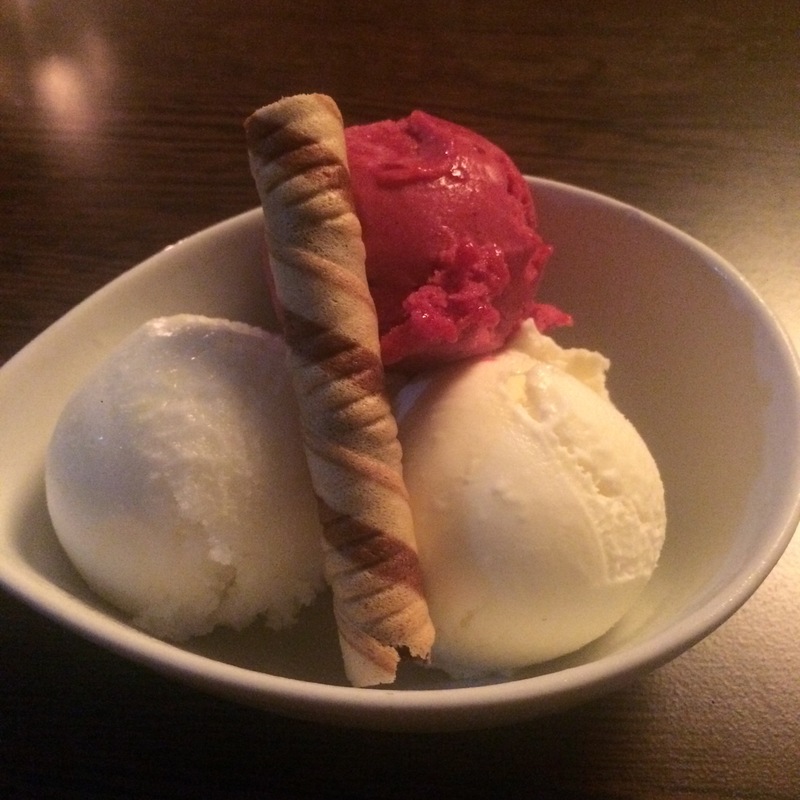 Vanilla ice cream with lemon & raspberry sorbet did the trick! 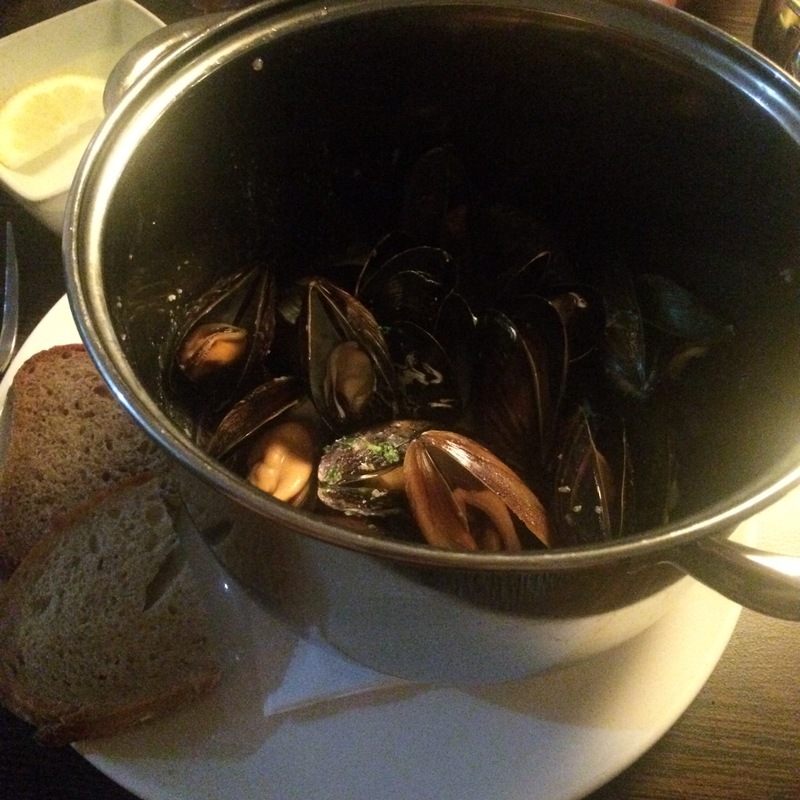 The restaurant is small and cosy, super friendly and the menu is dictated by the local seafood caught that day. You can’t beat it for fresh, authentic Scottish fare. This place is not to be missed!